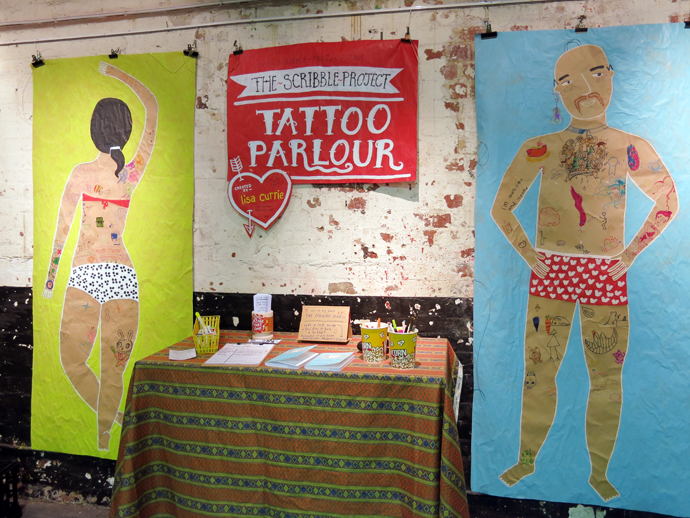 The Scribble Project: OUR SCRIBBLY TATTOO PARLOUR! 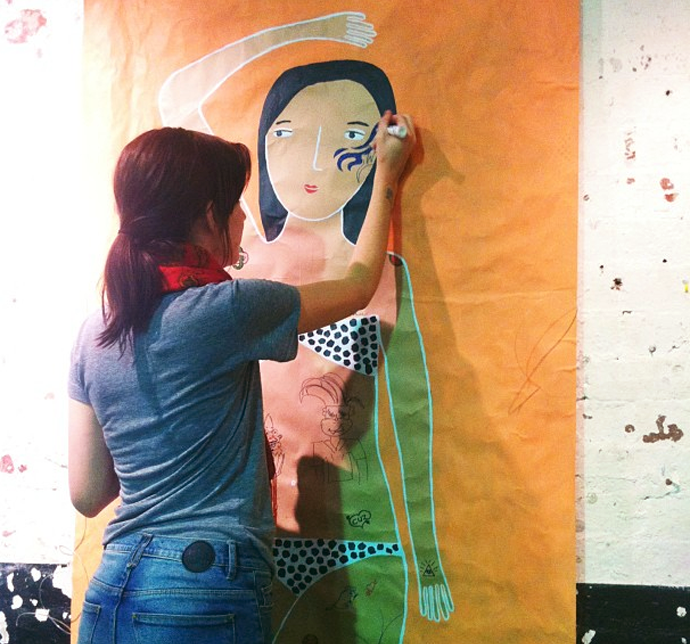 Today's scribbler(s!) 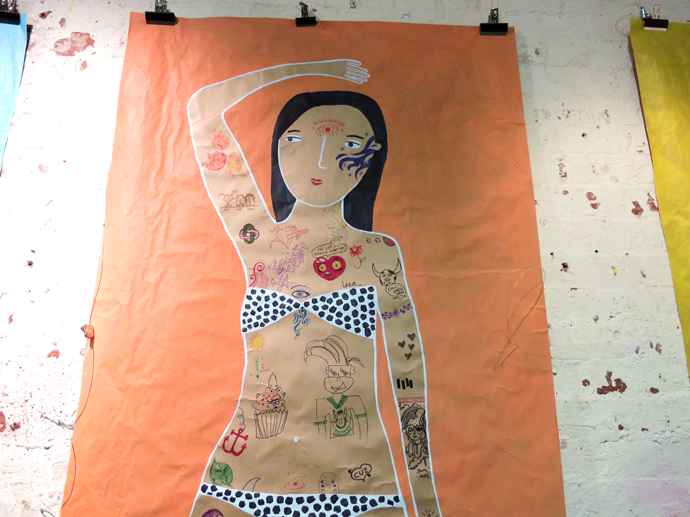 is everyone who came out to The Scribble Project Tattoo Parlour yesterday at the Bend & Snap Market in Melbourne! 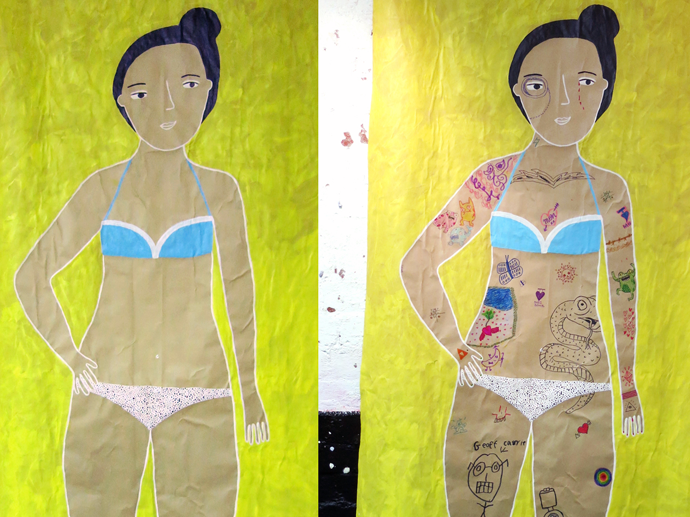 We inked that skin up REAL GUUUUUD! Our four skin-canvas volunteers were very patient and stood very still as we doodled wild squirrels on their chest and sophisticated monocle tattoos on their pretty young face. Actually maybe we can't call them "volunteers" exactly since I did birth these three bikini-clad sisters (and that one dude) from my own paint tins. Would we call Frankenstein a volunteer? Have I ever seen that movie? Not important right now. Either way they looked pretty chuffed with all the attention (and thigh tickles) they were getting! 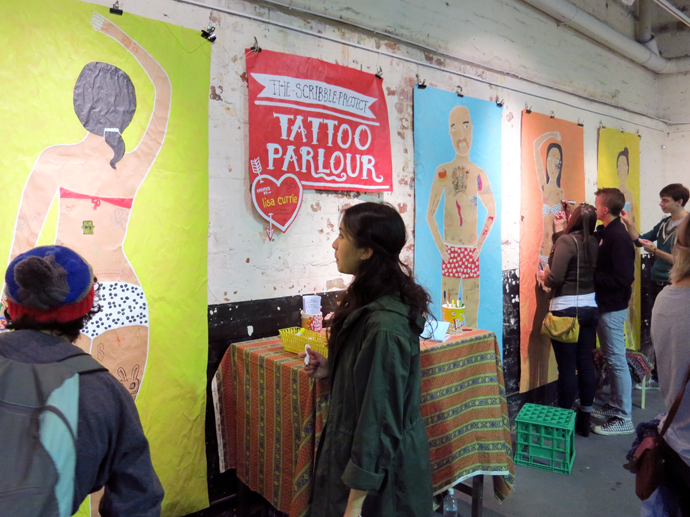 Especially the dude I painted in the romantic boxer shorts. You could tell he loved it. My little brother doodled a tattoo on his right bicep saying "im awsome and strong" heh! Because ladies don't know these things unless you make it very clear. In black permanent ink. On your bulging bicep. And with that dating advice from a young boy with eight whole years of life experience I'll wrap things up here! ...and some very serious crotch doodling by these two dudes, heh! 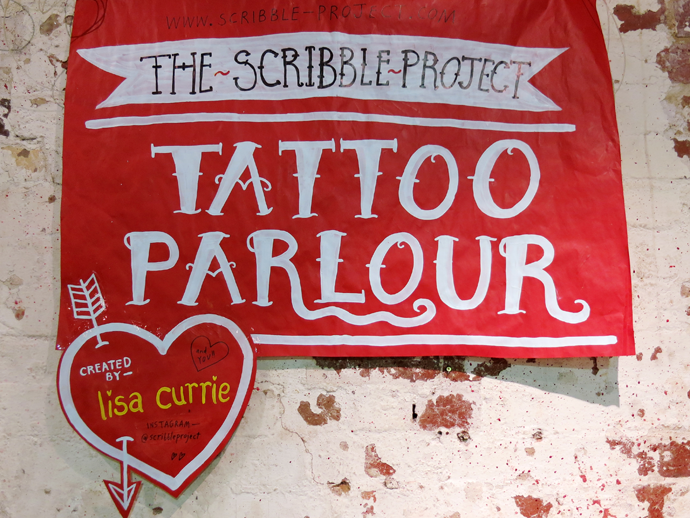 Follow me on instagram (@scribbleproject) for behind the scenes photos. 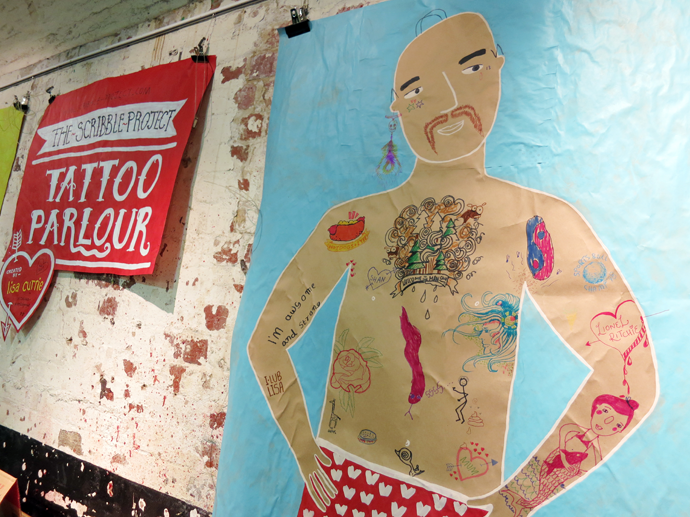 I mean "behind the scenes" making the tattoo parlour, not "behind the scenes" doodling crotch. Cool!